Katrina Kittle, author of "Reasons to Be Happy," will participate in a book discussion on October 23. An emotionally charged novel detailing the turbulent life of an eighth-grade girl struggling to accept life-altering changes has been chosen as this year’s Women’s Center Fall Reading Selection. 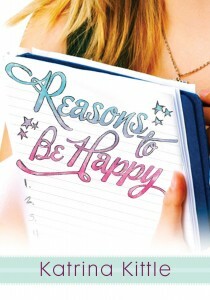 Reasons to Be Happy by Katrina Kittle chronicles the life of Hannah, the daughter of two Hollywood movie stars. Hannah often feels physically belittled by her parents’ dashing looks. Upon her mother’s death and her father’s resulting grief, Hannah is forced to deal with her problems on her own. As her fragile self-esteem begins to fracture, she develops an eating disorder—the primary subject of the novel. Reasons to Be Happy follows Hannah’s journey towards recovery. The Women’s Center will host book discussions on Wednesday, October 17, and Tuesday, October 23, from noon to 1 p.m. The author herself will participate in the October 23 event. Those wishing to participate in the fall reading discussions can reserve one of the available copies of Reasons to Be Happy by visiting the Women’s Center in 148 Millett Hall or by calling (937) 775-4524.